Why Hire a Running Coach in Melbourne? 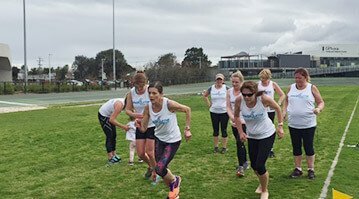 Melbourne Pack is a fun, friendly running group in Melbourne’s Bayside area. Based in Melbourne’s Southside, including the grass tracks at Edithvale, Melbourne Pack caters for all ages and types of distance runners. One of Australia’s most experienced coaches, Sean Williams, helps each member of Melbourne Pack reach their running goals with a personalized training program. 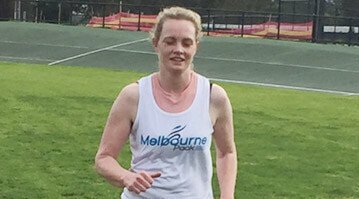 This running coach from Melbourne can either cater for runners within the Melbourne Pack running groups, with one on one sessions (Individual running coaching) or through his proven online running coaching. So for a quality coach and running group in Bayside Melbourne, you need to look no further than MELBOURNE PACK. 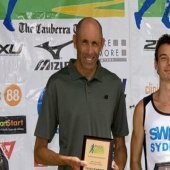 Sean Williams is the only Olympic level Running Coach in Melbourne that coaches full time to be available for international level runners and recreational level runners alike. He is on hand 7 days a week to assist anyone from primary aged children right through to 65+ year old master runners. Having an experienced coach in Melbourne who has been involved at all levels of the sport enables Melbourne Pack members to have a wise sounding board on site at sessions, in personal meetings and often at their races. Novice runners can also access the knowledge and wisdom of experienced and well accomplished runners in the group as they learn the ropes as a distance runner. Australia’s best running trails and a pristine grass track at Edithvale combine with the top Running Group Melbourne and a friendly group of runners to make Melbourne Pack what it is. These super training grounds are well cushioned and incredibly well groomed meaning runners have stable footing when increasing speed and running long. This is a key element in keeping runners injury free. Too many runners smash their bodies and often become injured simply because their training courses are highly unsuitable for regular training. Too much road running or running on very rough trails are often a recipe for disaster. Running coach from Melbourne, Sean Williams, searched high and low for the best injury free training venue in Australia and it is right here at Melbourne Pack in Edithvale. As an Experienced Running Coach, I Will Devise a Personalised Running Training Program For You to Meet Your Running Goals. A quick update on the Oxford Half (whilst on the wi-fi enabled bus back to London). I don’t know how, but I ran 1.28.35…felt good the whole way and kept pushing to catch the 1.30 pacer. I think official time was just over 1.29. I have grown to really love running because of the training sessions that you run. I look forward to our sessions every week and I can’t think of a better start to my day. Thank you so much for everything. Sean Williams is a highly experienced fulltime running coach. Those who have improved under Sean’s guidance have included absolute beginners who cannot run 400m around a track at snail’s pace to the current Australian 10km record holder Ben St Lawrence; from 3 year olds to 80 year olds.